In this area of the Apparel Search fashion brand directory, you will find women's fashion brands from leading apparel companies and fashion designers. On this particular page, you will find information regarding women's clothing with the Jones New York brand. You are welcome to utilize this section of our clothing guide to review Jones New York news, Jones New York blog posts, Jones New York photos, and more. Jones New York is a modern lifestyle brand rooted in classic complemented by on-trend details, clean lines and signature quality. The new collection is designed for a woman who is confident and expressive with a look that is always polished yet casually elegant. It began in 1966 with a vision, a passion, and a well-heeled hunch. When founder Sidney Kimmel worked it out that women put the 'force' in workforce. Fast forward 40 years, the Jones New York woman is supporting families, multi-tasking, and balancing complex lives. Jones New York is designed for the modern day woman who is seeking a trusted brand that delivers timeless versatility and complements her individual expression. She does it all, with style and ease. Learn more about the women's Jones New York fashion brand. If you have changed your mind and do not wish to research the brand Jones New York, you can use the search engine on this page to find another clothing label that may be of more interest. Apparel Search is a leading guide to fashion, style, clothing, glam and all things relevant to apparel. We hope that you find this Jones New York page to be helpful. 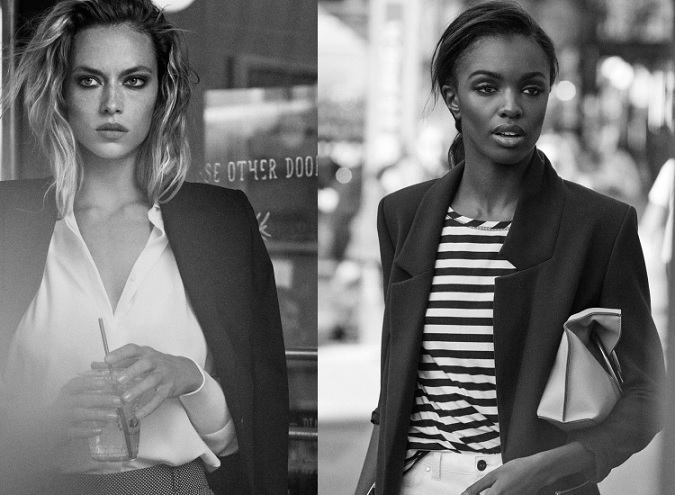 A new focus on versatile, timeless pieces that are updated for today's modern women.